Hands down one of the best dealerships I have ever worked with. I literally drove almost two hours to come to this specific dealership. Everyone was so friendly and helped out in any way they could. One specific person who really stood out was Bert. I had 59 million questions and he steadily answered each one at the best of his ability. 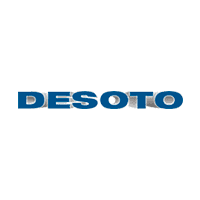 Thank you Bert and Desoto AutoMall for helping me make my purchase a breeze. Wow! I don't think I've ever had a more easy and pleasant experience buying a car. Thank you Jerry Cruz for making it as simple as possible! I've purchased three new vehicles from these folks in the last two years. They are the best when it comes to making the transaction happen to my satisfaction. I've recommended them to my friends which is something I seldom do. My salesman's name is Clint. He is honest.